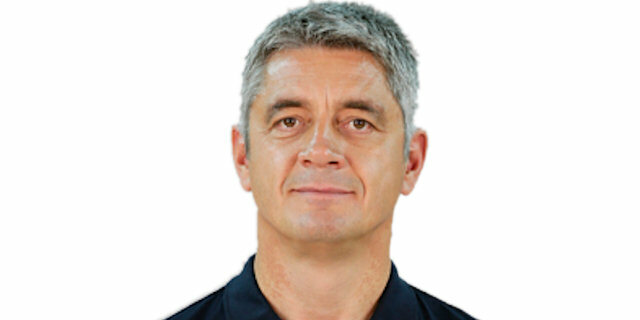 Head Coach Efes Pilsen Istanbul (February 2001-2007))...Head Coach Benetton Basket Treviso (November'07-2009)...Head Coach Galatasaray Istanbul (2010-2012)...Head Coach Anadolu Efes Istanbul (2012-December'13)...Head Coach Darussafaka Istanbul (2014-16)...Head Coach Galatasaray Istanbul (January'18-...). Won the 2001-02, 2002-03, 2003-04 and 2004-05 Turkish National Championship with Efes Pilsen Istanbul…won the 2001, 2002, 2006 and 2007 Turkish National Cup with Efes Pilsen Istanbul. Named the 2008-09 EuroCup Coach of the Year.